Angina: For those that have a mild to severe form of chest pain, studies show that L-Arginine might decrease symptoms and improve their quality of life. Hypertension: Individuals that have high blood pressure may take L-Arginine to lower their blood pressure. Male Enhancement: Taking L-Arginine may improve sexual function in men with erectile dysfunction. Improves heart health: L-Arginine is beneficial for preventing heart attacks and strokes and lowering cholesterol. Lowers inflammation and fights the effects of aging: L-Arginine fights disease-causing inflammation and free radicals. L-Arginine has become very popular in recent years because of their many benefits. Individuals are turning to L-Arginine to improve their heart health, fight against the effects of aging, boost their exercise performance, improve immunity, and treat erectile dysfunction. Although L-Arginine can be consumed through natural sources such as eggs, dairy, wild-caught fish, and grass-fed beef, many individuals are looking to supplement their healthy diets with general wellness supplements, including L-Arginine. In fact, the sales in nutrition supplements is supposed to grow exponentially in the forthcoming years. Global dietary supplements are expected to reach 220.3 billion dollars in 2022, an anticipated CAGR of 8.8% between 2017 and 2022. This includes dietary supplements such as L-Arginine. 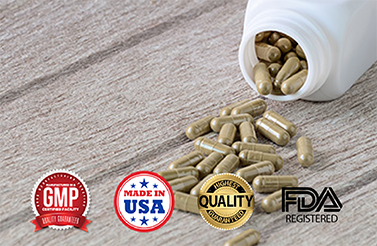 BioThrive Sciences offers private label manufacturing and contract manufacturing of all general wellness supplements, including L-Arginine. If you are looking for the best private label manufacturer for L-Arginine supplements, contact BioThrive Sciences. We specialize in providing custom formulas, private label design, printing and packing, drop shipping and contract manufacturing. What sets us apart from other private label manufacturers is that we are committed to having the best and most ethical practices in the industry. In fact, our team has the Good Manufacturing Practice Certification (GMP), ensuring that we minimize risks and follow strict quality standards. From start to finish, we ensure you will be 100% satisfied when you choose BioThrive Sciences as your supplement manufacturer. Contact our state-of-the-art facility by calling 844-263-3657, or fill out our online contact form.